Admit it, you never thought Jonah Hill's career would go the way it's gone. Doubtful anybody projected him to be an Oscar-nominated actor after his start in R-rated comedies, the best of which is undoubtedly Superbad. And now Hill has taken the giant step forward with his directorial debut, the coming-of-age flick Mid90s, so get ready to be transported back to an era he clearly loves. Penned by Hill, the film is an ode to the skateboard and hip-hop culture of the '90s. Sunny Suljic, best known for The Killing of a Sacred Deer, stars as Stevie, a 13-year-old L.A. kid who spends the summer navigating a troubled home life and hanging out with a new group of friends he met at a Motor Ave. skate shop. The soundtrack is evocative of the era, or at least Hill is using tracks heavily sampled by rappers in the '90s, and the film was largely shot in 16mm. Hill says he was partially inspired by Larry Clark's seminal drama Kids, and you can see it in the skate or die attitude of the time. 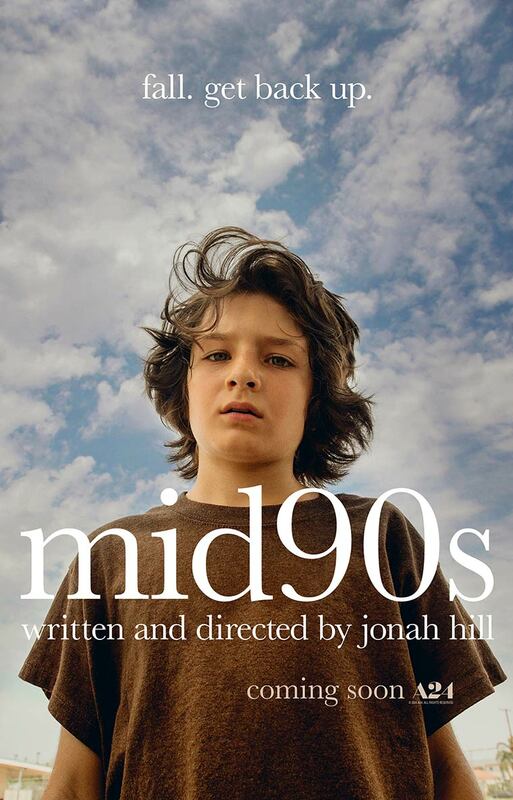 Also starring Lucas Hedges and Katherine Waterston,Mid90s opens October 19th.